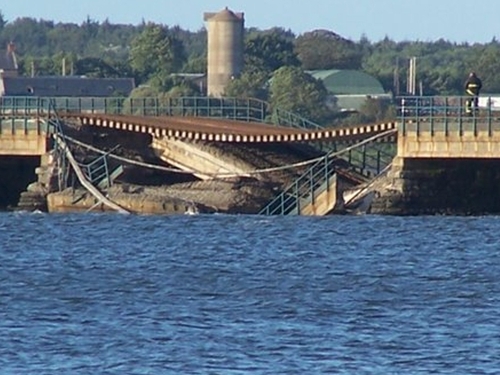 A preliminary assessment has identified significant erosion of the seabed as a possible reason for the collapse of a section of the railway viaduct near Malahide. 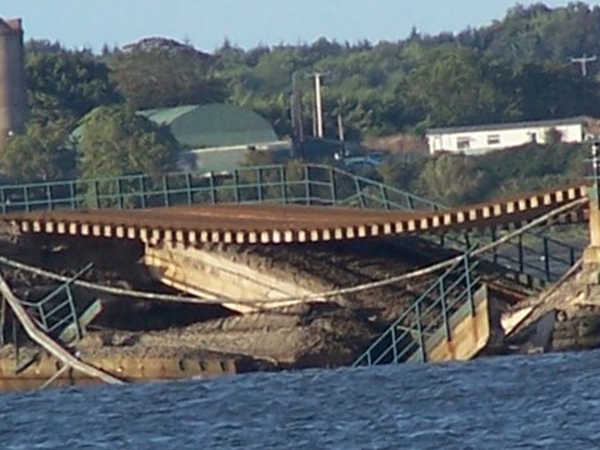 Up to 10,000 passengers are facing disruption for the next three months after the bridge across the Broadmeadow Estuary collapsed last Friday. The collapse has severely disrupted intercity and commuter rail services on the Dublin to Belfast line. In a statement this evening, Iarnród Éireann said it is believed that in a relatively short time-frame, possibly in recent weeks, that a small breach occurred in a causeway plateau within the seabed. It said its investigation would also examine other factors, including inspection and maintenance reports and procedures. The company said it is immediately establishing a team to carry out a detailed inspection of bridges and viaducts across running water throughout the network. It also said a company board committee is to be established to oversee the investigation and will retain independent advisors. Commuters who normally use the Belfast to Dublin rail line have been warned to add around 30 minutes to their usual journey time. Iarnród Éireann put arrangements in place to provide extra buses for affected passengers. Belfast Enterprise services to Dublin are running with passengers being transferred by bus between Drogheda and Connolly Station. A special bus service will operate directly between Drogheda and Dublin Connolly. Rail tickets are valid on these services. Customers from Dundalk, Laytown and Gormanston can connect to this service by using the Dundalk/Drogheda to Skerries rail services. This service will utilise Dublin Port Tunnel. Iarnród Éireann said this morning's operation went smoothly with buses collecting passengers from Drogheda and north county Dublin for the transfer into the city without any major delays.